Christopher Lopez, 48, was indicted three felony charges, according to police. A grand jury on Monday indicted a Houston man accused of chasing a teen and causing a fatal car crash on New Year's Day. Christopher Lopez, 48, was charged with three felonies after allegedly chasing a 14-year-old driver who egged his car, leading to a deadly collision in northern Houston, according to the Harris County Sheriff's Office. Lopez flashed a gun while chasing a 14-year-old driver, according to the teen, who ran a red light and slammed into 45-year-old Silvia Zavala's Ford F-150 truck, according to police. 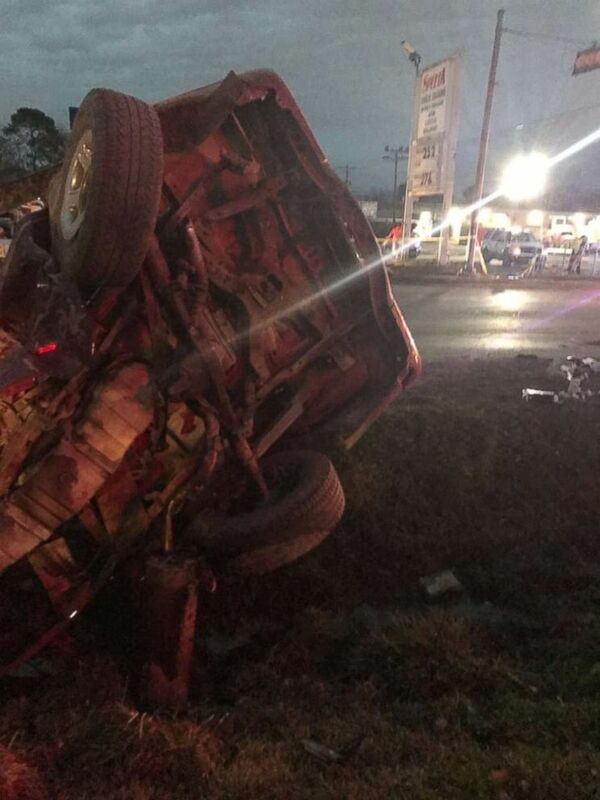 (Harris County Sheriff's Office) One person was killed when a 14-year-old driver crashed into their vehicle in Houston on Tuesday, Jan. 1, 2019. Lopez was charged with manslaughter, failure to stop and render aid, and aggravated assault with a deadly weapon. He could face up to 20 years in prison. The teen was charged with murder, authorities said. Police did not disclose the minor's identity, but witnesses said he'd been throwing eggs at cars with two other teens when Lopez allegedly brandished a semi-automatic handgun and began chasing them, the Harris County Sheriff's Office said. Surveillance video from a nearby business captured the deadly crash, showing the teen as he slammed his tan GMC Acadia into the woman's truck. The force of the crash bent the pickup's frame and sent both cars airborne. 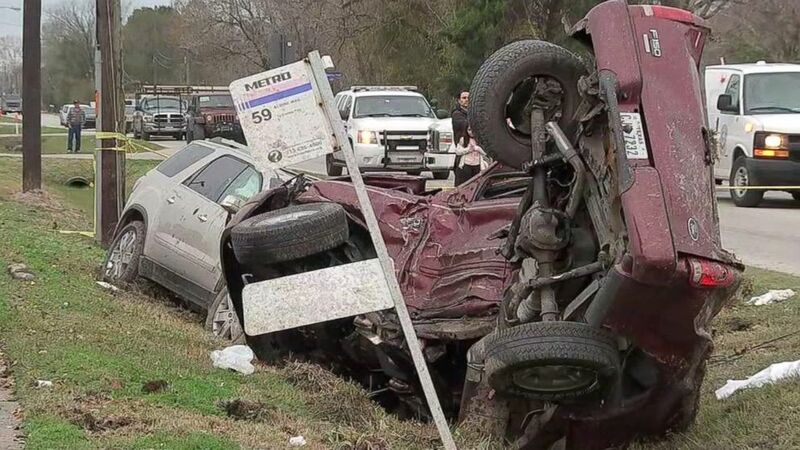 (KTRK) One person was killed when a 14-year-old driver crashed into their vehicle in Houston on Tuesday, Jan. 1, 2019. The victim's daughter, Jessica Gaspar, said her mother had been visiting family in Houston and was out running errands at the time. "She was about to go back. She was about to come home and get her stuff and say bye and she was about to leave. She couldn't say bye," Gaspar told ABC Houston station KTRK earlier this month. "He did what he did," she added, referring to the teen driver. "He took my mother's life, so he has to pay for what happened." It was unclear if Lopez had obtained attorney as of early Tuesday.